Produced in our ISO 9001 production facility in Germany, sodium hydrosufide (NaSH) is one of the sulfur derivatives of Quadrimex Chemical. This product is the result of a chemical reaction between hydrogen sulfide (H2S) and caustic soda. 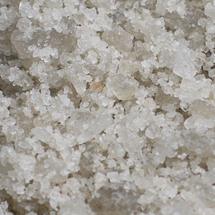 Our sodium hydrosulfide possesses the highest quality standards of the international market. Its high purity stems from the choice of noble raw materials : a guarantee for the best finished product for our customers. Our flexibility is very important to offer our customers all the possible solutions for transport and packagings. We can adapt to all the technical and storage constraints. Thanks to our 30 years of experience in the transport of hazardous goods, we give a high priority to the service provided to our cutsomers. In our logistics team, we have IATA and ADR reglementation experts. Our goal : always give the best quality service for the production and delivery of sodium hydrosulfide, while maintaining competitive prices. 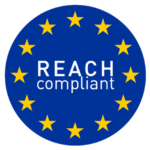 All our products are registered REACH (European regulation). Moreover, we have a R&D and quality control laboratory located in the production plant in Leuna in order to insure the quality of our chemical products.